Updated Waterfront pool home on deep water canal. See the river from the dock that has a new 2017 boat lift. Large open great room with vaulted ceilings and architectural niches. Quartz counter tops, stainless steel appliances in the updated kitchen. Newer flooring throughout. Master Bedroom has en suite bathroom with double vanities, jetted spa with skylight and separate shower. Large bedrooms all with walk-in closets. Large lanai, breakfast nook and separate laundry room. Two car garage with overhead storage. New pool heater in 2017, new roof in 2016. Home has been underpinned and engineered in 2014. Elevation is 10 feet above sea level and has never flooded. 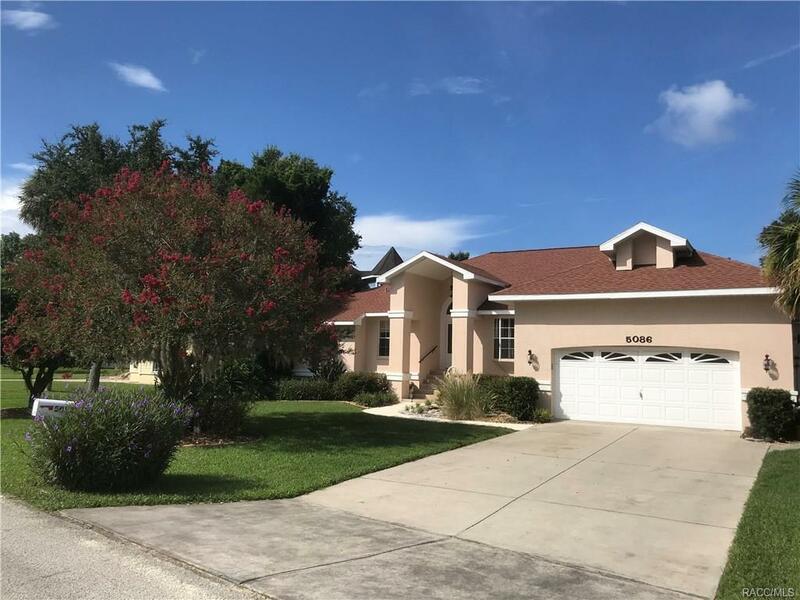 This home is open, updated, split bedroom floor plan with tons of storage and only 10-15 minutes to the Gulf of Mexico and to the Head Springs of the Homosassa River. Directions: Go Into Riverhaven Village And Take Left On Mystic Pt. And Home On Right.